Save Our Shores! Florida is working closely with the State Emergency Operations Center and our network of partner organizations around the state in order to provide the most current information regarding the oil spill and volunteer opportunities. To date, there has been a tremendous amount of support from volunteers who have prepared Florida’s coast for the oil spill: over 2676 volunteers have served 11,564 hours, and 136 miles of beaches have been cleaned! Because of their efforts, Florida’s coastline will be prepared when and where the oil hits. Keep checking back for opportunities in your area, as we will continue to provide updates. While no cleanup activities have yet begun, please register with the Red Cross in order to be included in future efforts. As there is no reported or immediate threat to Broward’s beaches, currently there is no call for immediate volunteers associated with oil spill cleanups. However, volunteer contribution is greatly encouraged and appreciated by registering now for regularly scheduled beach clean ups and possible opportunities related to this incident. For registration, visit www.volunteerbroward.org. 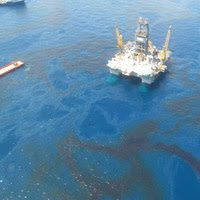 For information on local efforts and developments go on toBroward County’s site - Oil Spill News. While no volunteer activities have yet begun, please register with Volunteer Florida in order to be included in future efforts. Dixie County has not been impacted at this time. Please register with Volunteer Florida to volunteer. If you are interested in volunteering in the future during times of disaster please contact your local American Red Cross. If you want local Escambia County information about volunteering please send an email toOilSpillVolunteer@unitedwayescambia.org or call 850-444-7041. If you are interested in CERT training go toescambiacert.samariteam.com or call 850-444-7046. Oil spill volunteer response through Franklin County Emergency Management. Register here. Even though the oil spill is nowhere near Gulf County Beaches, County officials and representatives of BP are organizing a massive beach cleanup effort. The effort focuses on removing as much debris as possible before any oil reaches the beaches to minimize cleanup efforts in the event the oil does reach the beaches. If oil reaches the beaches all debris will be considered contaminated and have to be removed by hazardous materials specialists. Visit the United Way of Hernando County if you would like to be added to the local disaster volunteer list. Pre-oil landfall beach cleanup: Sign up online with Keep Pinellas Beautiful for a Special Beach Cleanup atwww.pinvol.org. Volunteers who register online would be contacted for a cleanup event 72 hours prior to an expected landfall of oil on the Pinellas shoreline. For more information, call (727) 533-0402. Local bird survey: Assist Audubon with counting local bird populations by using the eBird checklist at www.ebird.orgor call the Clearwater Audubon Society at (727) 431-2856. Beach and wildlife monitoring: Volunteers can contact Tampa Bay Watch at www.tampabaywatch.org or call (727) 867-8166. Office work or seabird rehabilitation: Volunteers are needed at the Suncoast Seabird Sanctuary for tasks such as feeding birds and answering the phone to free up trained staff for emergency work. Also, veterinarians and wildlife paraprofessionals are needed for an Emergency Call List to clean oiled birds (training is required). Visitwww.seabirdsanctuary.com or call (727) 391-2473. Aquarium work: Volunteers are needed to assist the Clearwater Marine Aquarium with daily duties. Training classes and long-term weekly shifts are required. Volunteers will not necessarily treat oiled wildlife directly, as marine animal needs will be determined by federal wildlife officials and facility staff. Contact Clearwater Marine Aquarium atwww.seewinter.com or call (727) 441-1790, ext. 230. Volunteers can sign up for multiple shoreline cleanups around the Tampa Bay area with the Mayors Beatification Program on our website www.mbptree.org. There will be each cleanups throughout Hillsborough, Pinellas, and other counties as needed. We look forward to working with volunteers in this effort to keep our coastline beautiful. Although there is no immediate need for volunteers associated with the oil spill, volunteers are encouraged to join the Mayor’s Beach Cleanup on Sunday, June 27th at 11:00am at Hotel Costa d’Este, 3244 Ocean Drive, Vero Beach. The complex nature of oil cleanup, coupled with health and safety concerns, limits the role of volunteers. Therefore, volunteers cannot be used in any situation where they may come in contact with oiled shorelines or oiled wildlife. Please call United Way of Indian River County, 567-8900 ext. 20 for updates, or to register as a volunteer for any activities that may be coordinated at a future date. Because of your generosity and kindness, Lee County’s shores will be well prepared if and when we are impacted from the Deepwater Horizon oil spill. At this point, because of our distance from the perimeter of the oil spill, there is no immediate need to seek mass amounts of volunteers. However, there are ways to help. Visit Lee County Emergency Management’s website, and look to the “Breaking News” section. We’ve posted flyers and Frequently Asked Questions (FAQs) about how you could help, as well as other relevant information. Also, we’ll make updates as necessary, so stay tuned! Hours are 7 to 6 Mon-Fri. 8 to 12 on Sat. Musicmasters: 1114 North Monroe St.
Humidity Gallery: 1355 Market St.
Jim Wells Tire: 1835 Thomasville Rd. Manatee County has produced a handout (pdf, 268KB) for those individuals and groups interested in assisting with volunteer activities related to the Deepwater Horizon oil spill. We appreciate the many requests and offers of help and encourage volunteers to first register with Volunteer Florida and then become affiliated with a local Manatee County organization in order to join the volunteer effort. To receive up-to-date information on Manatee County, status reports, and volunteer needs please visit our website at www.mymanatee.org. Coastline Watchers are needed to help monitor the coastline in the event of possible impact from the oil spill. To report oil on the shoreline please call (850) 413-9900 or (800) 320-0519. To report oiled wildlife, please call (866) 557-1401. Pre-oil landfall beach cleanups will be planned in the event. Manatee County staff are working with U.S. Coast Guard Sector St. Petersburg to receive information and predictions regarding any possible oilings on the local shoreline. Volunteers who would like to help with these cleanups will be contacted in advance of the event and will be asked to help by removing naturally occurring materials and trash from the coast. As the County's beaches are currently providing habitat to a variety of nesting shore birds and sea turtles, please wait for these organized cleanups. Please note: Volunteer Manatee (who manages the Manateens) is the main volunteer agency within Manatee County, coordinating the majority of the County’s youth as well as many adults. The other agencies listed are either special interest groups, such as the National Estuary Programs, or non-profits which utilize volunteers to further their missions. Manatee County Natural Resources Department also maintains its own standing core of volunteers that can assist if necessary. Visit www.surfrider.org/treasurecoast for more information. The local Emerald Coast Wildlife Refuge needs NEW large plastic totes (tubs). Please drop them off at 406 Mountain Drive, Destin. They can also use cash donations. If you have questions, please call 650-1880. Citizens in Okaloosa County wanting more information can dial 311 ext. 8 for updates or visit www.okaloosafl.comand click on 311. Okaloosa Island Beaches were cleaned in April to celebrate Earth Day and remain very clean. ALL waterfront homeowners, including Destin (private) beach homeowners, are asked to clean up their own waterfront areas in order to protect sea grasses, etc. from impact of volunteers. This is to include the people living on the bays and bayous. Support United Way's Response to the Gulf Coast Oil Spill Crisis go to www.united-way.org click on DONATE NOW! Although, there is no immediate need for volunteers associated with the oil spill locally, Palm Beach County continues to encourage volunteers become involved with current beach clean-up and beach-sweep opportunities provided through the various municipalities and beach clean-up organizations throughout the county. The complex nature of oil cleanup, coupled with health and safety concerns, limits the role of volunteers. Therefore, volunteers cannot be used in any situation where they may come in contact with oiled shorelines or oiled wildlife. Palm Beach County Government, all municipalities and other key agencies and organizations are concerned about the potential threat to our county’s coastal shores and inter-coastal water ways. Please go to www.pbcgov.org for the latest Palm Beach County updates or to register as a volunteer for any activities that may be coordinated at a future date. Suncoast Seabird Sanctuary is requesting donations of items such as towels to treat oiled birds. Visitwww.seabirdsanctuary.com or call (727) 391-2473 for a current list. Clearwater Marine Aquarium has set up an Oil Spill Emergency Fund. Donations can be made by calling the aquarium at (727) 441-1790 or visiting www.seewinter.com. Email Susan at slevielle@ecwildlifrefuge.com, with the words "Phone Duty" in you subject line if you are able to come in to answer the phone. Please include your availability. The Taylor County Department of Emergency Management greatly appreciates your willingness to volunteer your time and effort should oil threaten our coast. At this point, because of our distance from the perimeter of the oil spill, there is no immediate need to begin volunteer activities beyond building our volunteer database. Please register with Volunteer Florida in order to be included in future efforts. Thank you. The Gulf Specimen Marine Lab needs skilled carpenters to tear down and replace sheds over the tanks that they are cleaning at the shrimp farm. Rusty nail type work. All help appreciated, but needed now. Contact Jack Rudloe or (850) 984-5297. The Florida Wild Mammal Association needs help! FWMA is in need of seabird enclosures and volunteers to build them! Contact Lisa theparrotlodge@yahoo.com to volunteer or for more information. Volunteer: Provide hands-on help to prepare for oiled wildlife. FWMA is in need of volunteers to build seabird enclosures. FWMA supports and maintains MANY needy animals, including birds. Contact Lisatheparrotlodge@yahoo.com to volunteer. Donate: Go to www.wakullawildlife.org to help sponsor a habitat. Donations can be made through Pay Pal. Donations of 250.00 or more will have a habitat dedicated in their name. All donations are tax deductable. These habitats will insure that FWMA will be able to provide housing for pelicans, gannets and a number of other seabirds. يعد فيما يتعلق لافراد البيت من أكثر الحشرات المزعجة لهم ، كما أنها تعد خطيرة غالبا؛ لأنها تحمل العديد من الأمراض الضارة كالكوليرا والتيفويد، ومن الممكن مكافحة حشرات الذباب عن طريق بخ النوافذ والأرضيات بالمواد القاتلة للحشرات والسموم العاملة على قتلها؛ طبعا هناك انواع اخرى من الحشرات المنزلية الكثيرة المؤذية.